The new all new Cutlass (and Oldsmobile F-85) had a conventional body-on-frame chassis with a perimeter frame. Wheelbase grew to 115 inches and overall length to 203 inches, while weight went up by more than 300 pounds. A new cast-iron small-block 330 cubic inch V8 available with a two-speed Jetway automatic transmission replaced the last year’s aluminum V8 and the Roto Hydramatic transmission, with the Buick 225 cubic inch V6 as the standard engine on the base Cutlass. In addition to last years coupe, sedan and wagon models the Cutlass now offered the Vista Cruiser, a station wagon featuring a raised rear roof with tinted skylights and a fold-down, forward-facing third seat. The Vista Cruiser rode a stretched-wheelbase of 120 inches. The Cutlass 442 was introduced in April 1964 and was derived from the BO-9 police package, which was Oldsmobile’s answer to the growing muscle car market. 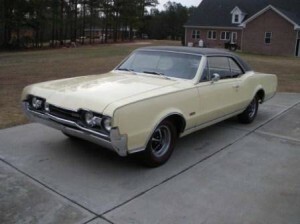 Sales of the Cutlass increased to 167,002 for 1964, excluding the Vista Cruiser model. The Cutlass received a modest facelift for 1965. Overall length increased to 204.3 inches. 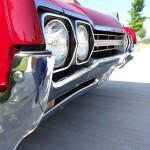 The front end received a “dumbbell-style” grille similar to full-sized Oldsmobile models. 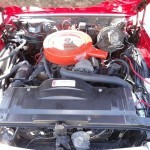 A bigger 400 cubic inch engine was added to the 442 option. 1965 would also be the first year for Oldsmobile’s “Rocket” logo, which would appear on all Oldsmobiles until the introduction of the Oldsmobile Aurora in 1995. Sales of the Cutlass increased again to 187,097. The Cutlass was slightly restyled again with bodylines similar to the Oldsmobile 88. 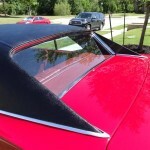 The Cutlass coupe models now featured semi-fastback rooflines with extended sail panels and tunneled rear windows on the Sport (pillard coupe) and Holiday (hardtop coupe) modles. 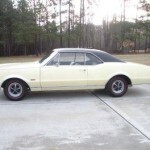 The Cutlass Supreme was also introduced as the top-of-the-line Cutlass that was offered as a coupe and a four-door hardtop sedan, also called the Holiday Sedan by Oldsmobile. 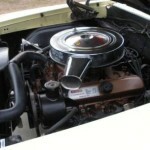 The standard Buick V6 engine was replaced on the base models by an Oldsmobile’s “Action-Line 6″, which was a rebadged version of Chevrolet’s 250 cubic inch “Turbo-Thrift” straight-6 engine. 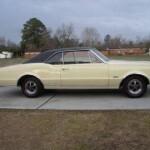 The Cutlass would receive a major body restyle in 1968, so the 1967 Cutlass received mechanical changes while the body carried on with minimal changes. 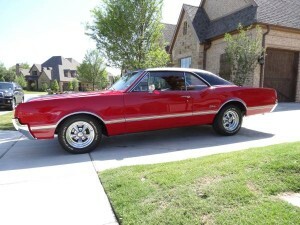 Disc brakes and a three-speed Turbo-Hydramatic transmission were now available on the Cutlass as optional equipment. 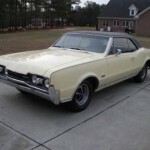 An new model, the Turnpike Cruiser, was added to the on Cutlass Supreme coupes and convertibles. 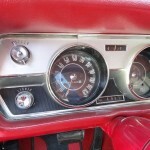 The Turnpike Cruiser had a two-barrel carburetor and mild camshaft with the 400 cubic inch V8 engine and a numerically lower axle ratio for economical freeway cruising, by 1967 standards. The Turnpike Cruiser also used the heavy-duty suspension of the 442 model and was available only with Turbo Hydramatic transmission. 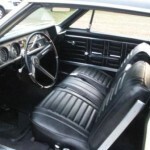 Click here for more about the Oldsmobile Cutlass or for the 1970-1972 Oldsmobile Cutlass Supreme. 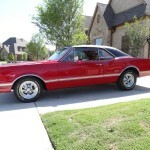 To find your own Classic Car or sell your Classic, see the listings in Classics for Sale. 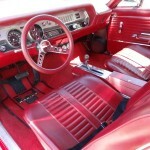 This entry was posted in Cutlass, Oldsmobile and tagged Muscle Car, Olds Rocket, Personal Luxury. Bookmark the permalink.